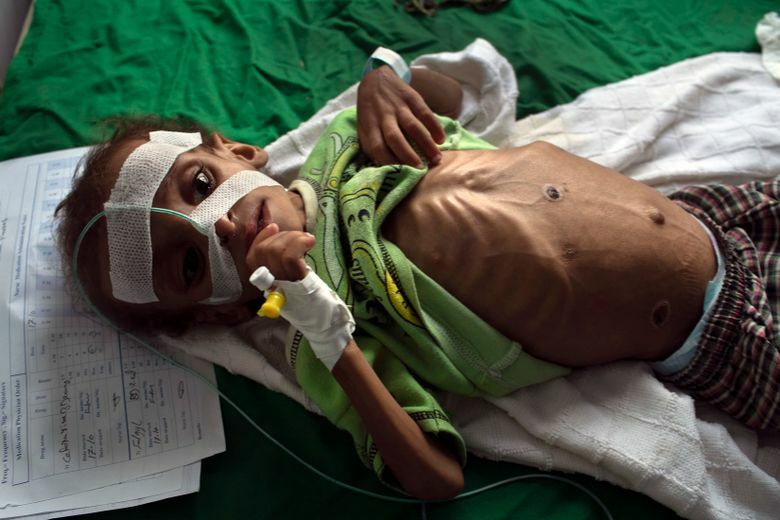 The Saudi-led war in Yemen has pushed millions to the brink of starvation. 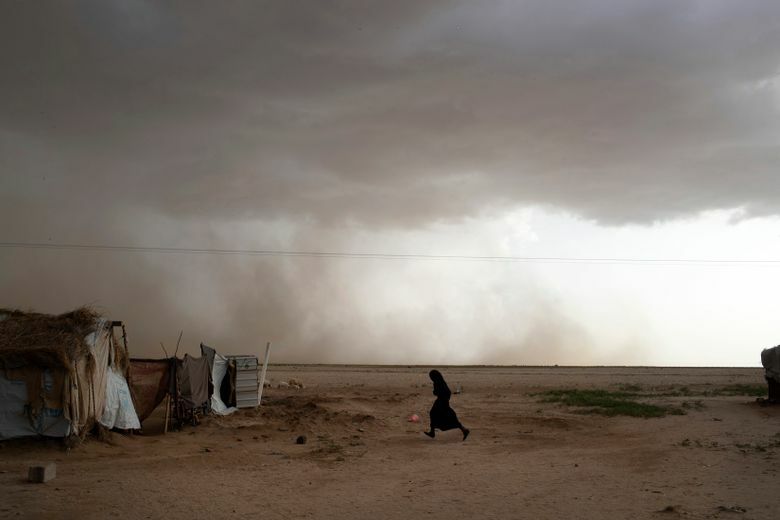 Apart from the airstrikes, an economic war is exacting a far greater toll and now risks tipping the country into a famine of catastrophic proportions. 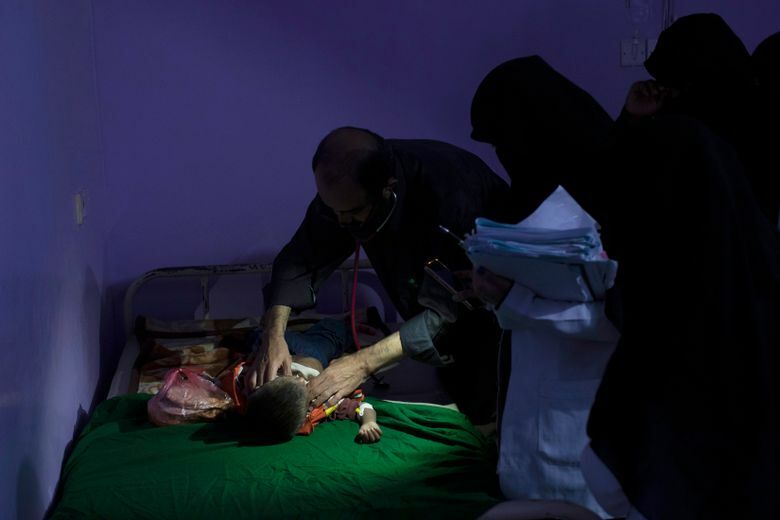 Chest heaving and eyes fluttering, the 3-year-old boy lay silently on a hospital ward in the highland town of Hajjah, a bag of bones fighting for breath. His father, Ali al-Hajaji, stood anxiously over him. 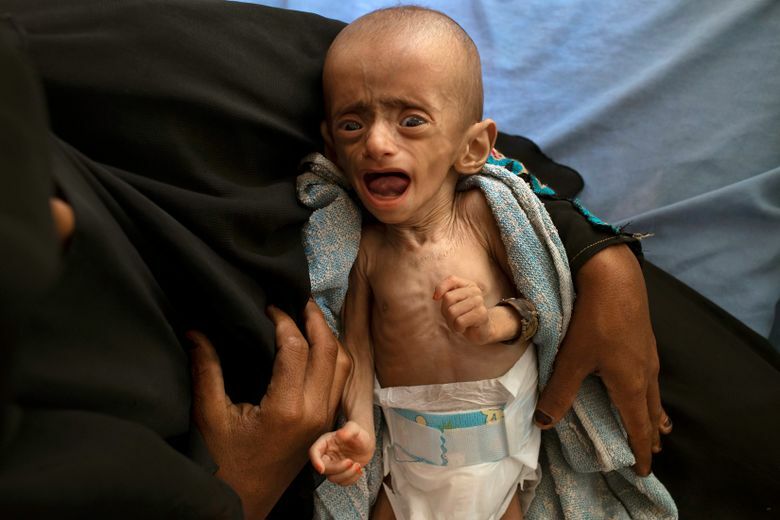 Al-Hajaji had already lost one son three weeks earlier to the epidemic of hunger sweeping across Yemen. Now he feared that a second was slipping away. It wasn’t for a lack of food in the area: The stores outside the hospital gate were filled with goods and the markets were bustling. But al-Hajaji couldn’t afford any of it because prices were rising too fast. The devastating war in Yemen has gotten more attention recently as outrage over the killing of a Saudi dissident in Istanbul has turned a spotlight on Saudi actions elsewhere. The harshest criticism of the Saudi-led war has focused on the airstrikes that have killed thousands of civilians at weddings, funerals and on school buses, aided by U.S.-supplied bombs and intelligence. 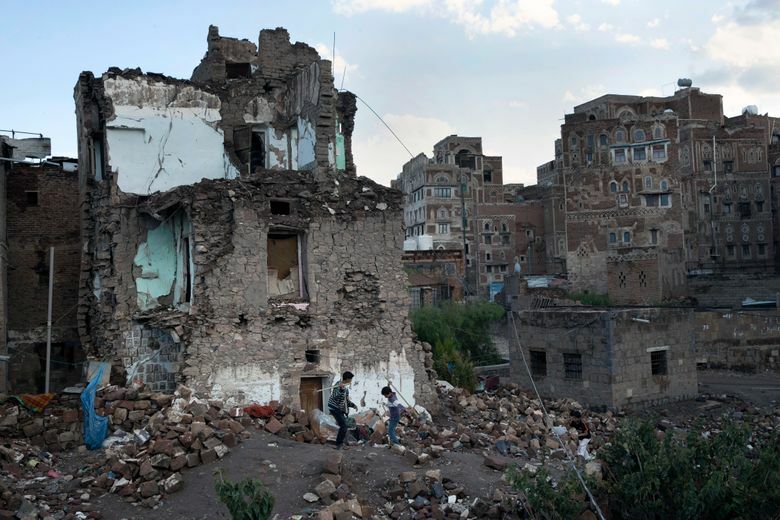 But aid experts and U.N. officials say a more insidious form of warfare is also being waged in Yemen, an economic war that is exacting a far greater toll on civilians and now risks tipping the country into a famine of catastrophic proportions. Under the leadership of Crown Prince Mohammed bin Salman, the Saudi-led coalition and its Yemeni allies have imposed a raft of punitive economic measures aimed at undercutting the Houthi rebels who control northern Yemen. But these actions — including periodic blockades, stringent import restrictions and withholding the salaries of about 1 million civil servants — have landed on the backs of civilians, laying the economy to waste and driving millions deeper into poverty. Those measures have inflicted a slow-burn toll: infrastructure destroyed, jobs lost, a weakening currency and soaring prices. But in recent weeks the economic collapse has gathered pace at alarming speed, causing top U.N. officials to revise their predictions of famine. 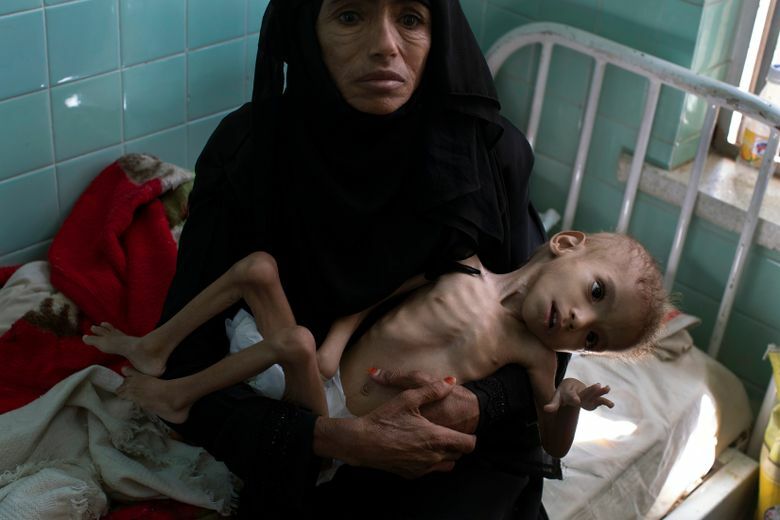 “There is now a clear and present danger of an imminent and great, big famine engulfing Yemen,” Mark Lowcock, the undersecretary for humanitarian affairs, told the Security Council on Tuesday. 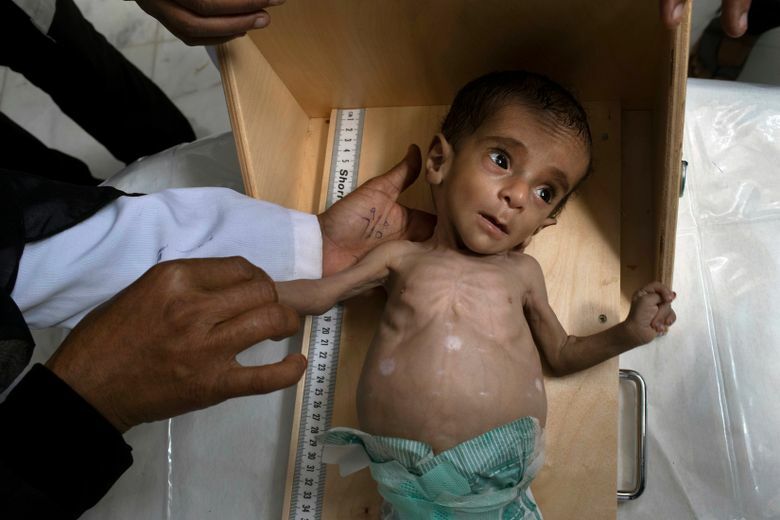 About 8 million Yemenis already depend on emergency food aid to survive, he said, a figure that could soon rise to 14 million, or half Yemen’s population. The signs are everywhere, cutting across boundaries of class, tribe and region. Unpaid university professors issue desperate appeals for help on social media. Doctors and teachers are forced to sell their gold, land or cars to feed their families. On the streets of the capital, Sanaa, an elderly woman begs for alms with a loudspeaker. And in the hushed hunger wards, ailing infants hover between life and death. 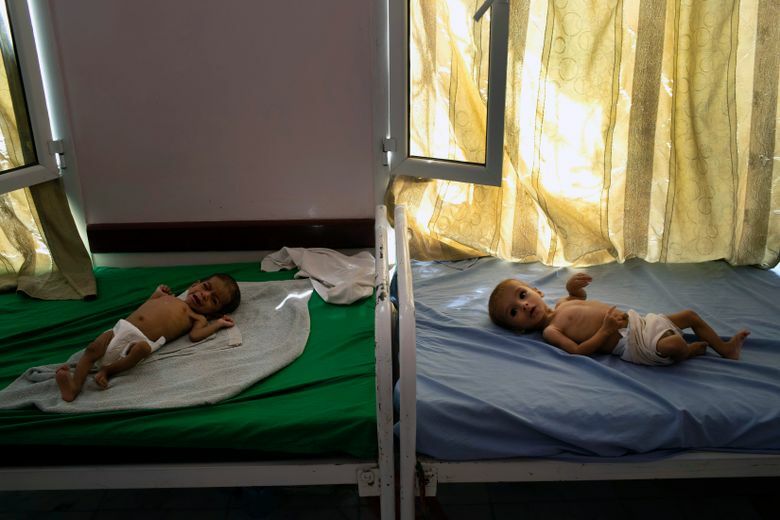 Of nearly 2 million malnourished children in Yemen, 400,000 are considered critically ill — a figure projected to rise by one quarter in the coming months. 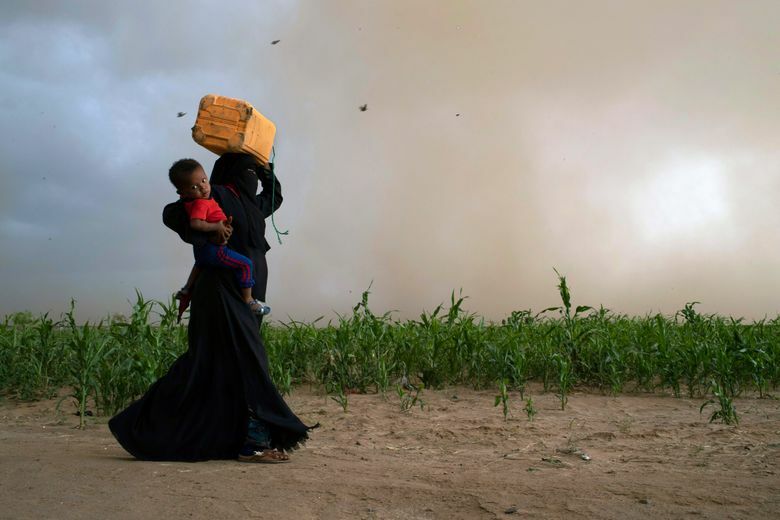 “We are being crushed,” said Dr. Mekkia Mahdi at the health clinic in Aslam, an impoverished northwestern town that has been swamped with refugees fleeing the fighting in Hodeida, an embattled port city 90 miles to the south. Flitting between the beds at her spartan clinic, she cajoled mothers, dispensed orders to medics and spoon-fed milk to sickly infants. For some it was too late: the night before, an 11-month old boy had died. He weighed 5 1/2 pounds. Looking around her, Mahdi could not fathom the Western obsession with the Saudi killing of Jamal Khashoggi in Istanbul. The embassy of Saudi Arabia in Washington did not respond to questions about the country’s policies in Yemen. 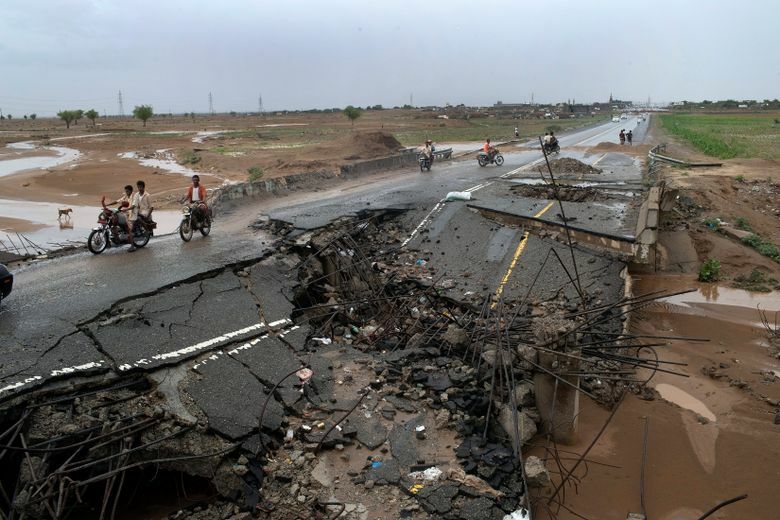 But Saudi officials have defended their actions, citing rockets fired across their border by the Houthis, an armed group professing Zaidi Islam, an offshoot of Shiism, that Saudi Arabia, a Sunni monarchy, views as a proxy for its regional rival, Iran. The Saudis point out that they, along with the United Arab Emirates, are among the most generous donors to Yemen’s humanitarian relief effort. Last spring, the two allies pledged $1 billion in aid to Yemen. In January, Saudi Arabia deposited $2 billion in Yemen’s central bank to prop up its currency. And the offensive to capture Hodeida, which started in June, has endangered the main lifeline for imports to northern Yemen, displaced 570,000 people and edged many more closer to starvation. When Ali al-Hajaji’s son fell ill with diarrhea and vomiting, the desperate father turned to extreme measures. Following the advice of village elders, he pushed the red-hot tip of a burning stick into Shaher’s chest, a folk remedy to drain the “black blood” from his son. In the past, the men of the village worked as migrant laborers in Saudi Arabia, whose border is 80 miles away. They were often treated with disdain by their wealthy Saudi employers but they earned a wage. Al-Hajaji worked on a suburban construction site in Mecca, the holy city visited by millions of Muslim pilgrims every year. But for al-Hajaji, who had five sons under age 7, the deadliest blow was economic. But al-Hajaji, whose family lived in a one-room, mud-walled hut, had nothing to sell. Soon his first son to fall ill, Shaadi, was vomiting and had diarrhea, classic symptoms of malnutrition. Al-Hajaji wanted to take the ailing 4-year-old to the hospital, but that was out of the question: fuel prices had risen by 50 percent over the previous year. One morning in late September, al-Hajaji walked into his house to find Shaadi silent and immobile, with a yellow tinge to his skin. “I knew he was gone,” he said. He kissed his son on the forehead, bundled him up in his arms, and walked along a winding hill path to the village mosque. A few weeks later, when Shaher took ill, al-Hajaji was determined to do something. When burning didn’t work, he carried his son down the stony path to a health clinic, which was ill-equipped for the task. 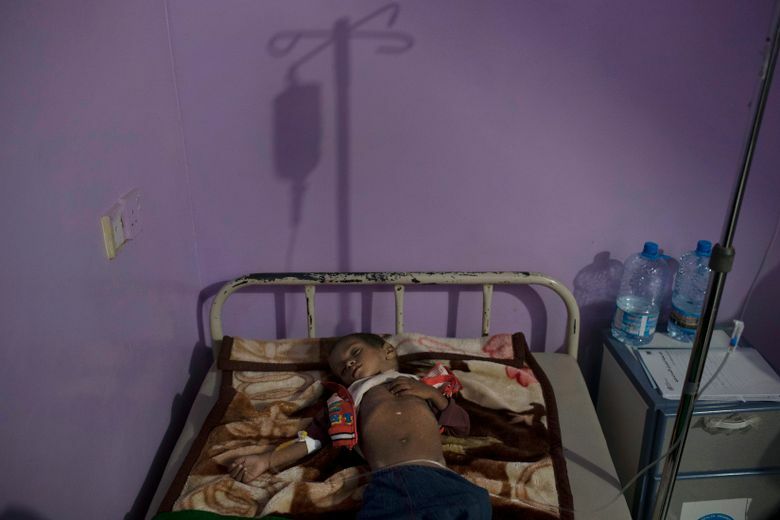 Half of Yemen’s health facilities are closed because of the war. In 2016, the Saudi-backed Yemeni government transferred the operations of the central bank from the Houthi-controlled capital, Sanaa, to the southern city of Aden. The bank, whose policies are dictated by Saudi Arabia, a senior Western official said, started printing vast amounts of new money — at least 600 billion riyals, according to one bank official. The new money caused an inflationary spiral that eroded the value of any savings people had. At the Sabeen hospital in Sanaa, Dr. Huda Rajumi treats the country’s most severely malnourished children. 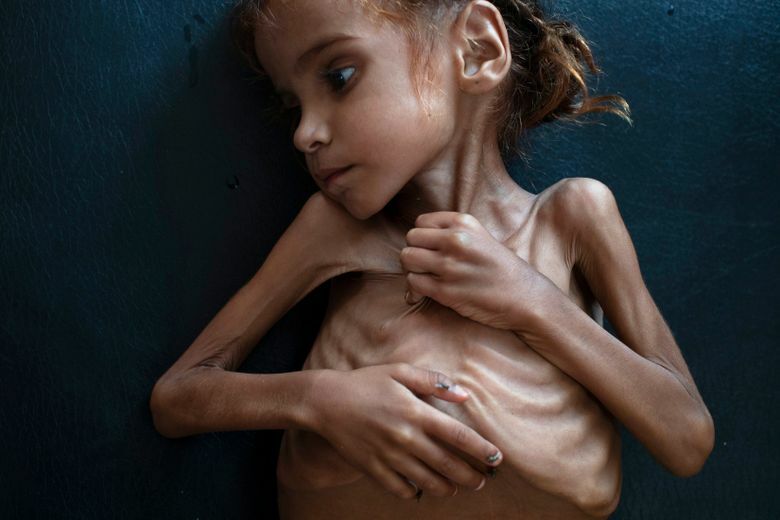 But her own family is suffering, too, as she falls out of Yemen’s vanishing middle class. In the past year, she has received only a single month’s salary. Her husband, a retired soldier, is no longer getting his pension, and Rajumi has started to skimp on everyday pleasures, like fruit, meat and taxi rides, to make ends meet. Among those on the waiting list is Maimoona Naji, a 16-year-old girl with a melon-size tumor on her left leg. At a hostel in Sanaa, her father, Ali Naji, said they had obtained visas and money to travel to India for emergency treatment. Their hopes soared in September when his daughter was told she would be on the first plane out of Sanaa once the airlift started. The Saudi coalition is not solely to blame for Yemen’s food crisis. In Houthi-held areas, aid workers say, commanders level illegal taxes at checkpoints and frequently try to divert international relief aid to the families of soldiers, or to line their own pockets. At the United Nations on Tuesday, Lowcock, the humanitarian official, said that aid workers in Yemen faced obstacles including delayed visas, retracted work permits and interference in the work — problems, officials said privately, that were greatest in Houthi-held areas. Despite the harrowing scenes of suffering in the north, some Yemenis are getting rich. Upmarket parts of Sanaa are enjoying a mini real-estate boom, partly fueled by Yemeni migrants returned from Saudi Arabia, but also by newly enriched Houthi officials. Local residents say they have seen Houthi officials from modest backgrounds driving around the city in Lexus four-wheel drives, or shopping in luxury stores, trailed by armed gunmen, to buy suits and perfumes. Tensions reached a climax this summer when the head of the U.N. migration agency was forced to leave Sanaa after clashing with the Houthi administration. In an interview, the Houthi vice foreign minister, Hussain al-Ezzi, denied reports of corruption, and insisted that tensions with the United Nations had been resolved. Only two famines have been officially declared by the United Nations in the past 20 years, in Somalia and South Sudan. A U.N.-led assessment due in mid-November will determine how close Yemen is to becoming the third. One hope for Yemenis is that the international fallout from the death of the Saudi dissident, Khashoggi, which has damaged Prince Mohammed’s international standing, might force him to relent in his unyielding prosecution of the war.